Deer me! 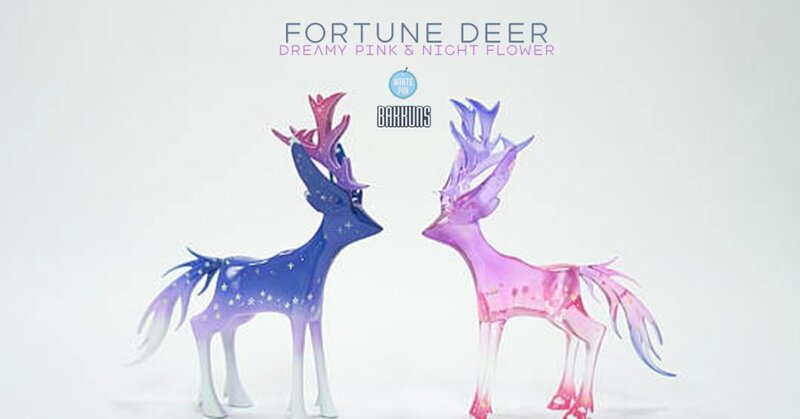 Look at this beauty by Sang Hyuk Park of Bakkuns amazes us all the time, with all the various colourways and editions of his beautiful “Fortune Deer” every new release has the perfect colour combinations. 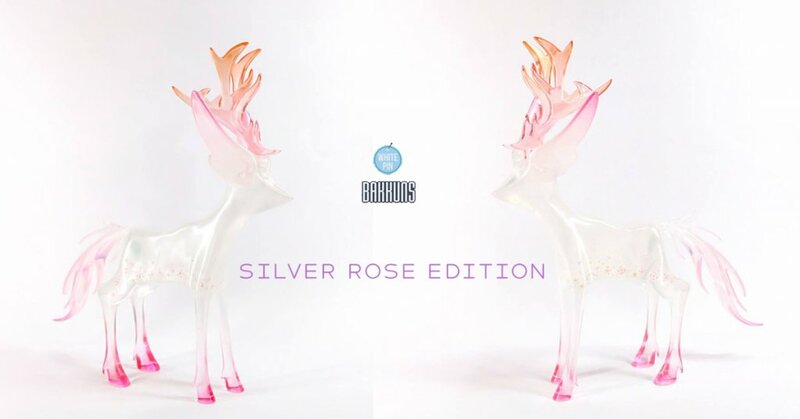 White Pin Collective Sang Hyuk Park AKA Bakkun Fortune Deer every releases made have the wow factor and this Silver Rose shouldn’t surprise us how pretty it is. Rudolf move outta the way Fortune Deer Silver Rose is here. Like we said before the Koreans really have a certain clean cute style, and we’ve fallen in love with the collectives artworks. Bakkun’s Fortune Deer was one that stood out. Oversized ears and dazzling tail, the minimalistic free flowing design is a beauty all the colourways so far are beautiful. Lovin the contrasting flow of pastel colours with the tiny details that Sang has added to this version. Need the alternative colours? Check out the Dreamy Pink & Night Flower edition below.